Fashion week is not just about the runway shows. It is also the unveiling of the latest accessories and store openings. Following tradition, Max Mara reopened its Madison Avenue flagship boutique in New York City on September 8, which coincides with #NYFW. With A-listers that include Jennifer Morrison joining Bella Hadid at the opening, guests were treated with the launch of the Special Edition mini Whitney Bag, based on the now iconic Max Mara bag which was inspired by the new Whitney Museum of American Art building. A collaboration between Max Mara and Renzo Piano Building, the original Whitney Bag was launched in May 2015. Now, in celebration of the reopening of the Max Mara Madison Avenue flagship boutique, the Whitney Bag is reimagined in original jewel tone colors, rich velvet textures and a new smaller size – the Special Edition mini Whitney Bag. Lined in the brand’s signature camel color, the exterior velvet color palette evokes jewel stones such as emerald, sapphire, citrine, onyx and ruby. Crystal details in matching colors sparkle along the convertible strap, adding a feminine yet edgy touch. The iconic Whitney Bag is constructed with the finest Italian craftsmanship and contemporary innovations within all of its versions. Crafted in soft, quality ultra shine leather and luxurious velvet, the distinctive ribbing and perfect proportions create a stylish architectural structure. 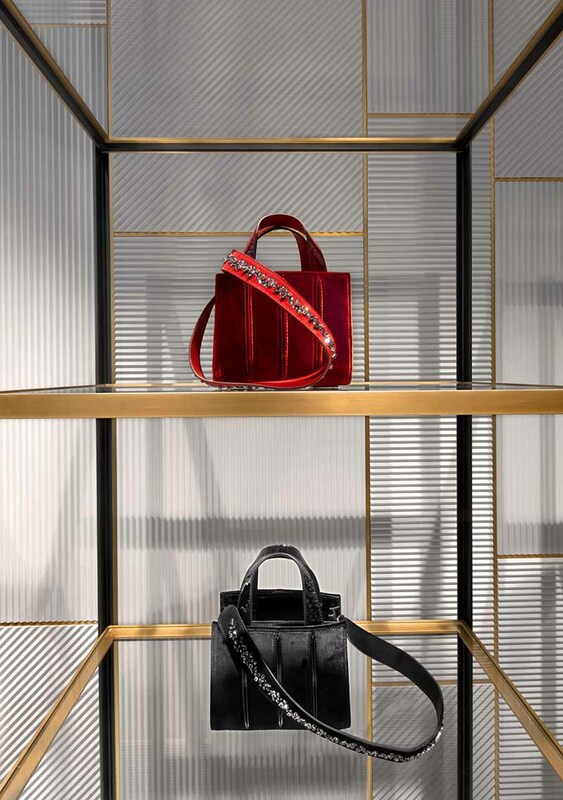 The mini Whitney Bag will exclusively launch at the Madison Avenue flagship boutique and on maxmara.com.